This is one of our fund-raising events so please plan on bringing your items for auction. The club will prepare the main course and bottled water will be available but you can bring your favorite salad, appetizer, or dessert. We need help with picnic set-up and clean-up. If you did not already RSVP at the September meeting, you must do so at the Fall Show or contact Charlie Mosse, First VP, so that we will prepare enough food for everyone. A potluck food item to share: a salad, an appetizer, or a dessert would all be good options. From Espola Rd., turn east onto Lake Poway Rd. Proceed up the hill and tell the attendant that you are with the bonsai event for free entry (otherwise $10) at the entrance kiosk. 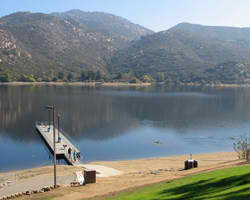 For GPS or Google Maps: Lake Poway Park, 14644 Lake Poway Rd, Poway, CA. Follow the main road as it curves gently to the right. At just over 100 yards are 4 parking aisles on the left. To unload, take the 4th aisle (last) to the top. 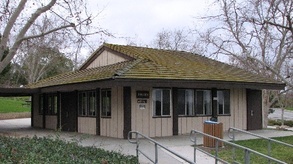 You will see the Lake Concession building on the left and a large shaded picnic table area and a building (the pavilion) on the right. That is where the picnic will be.